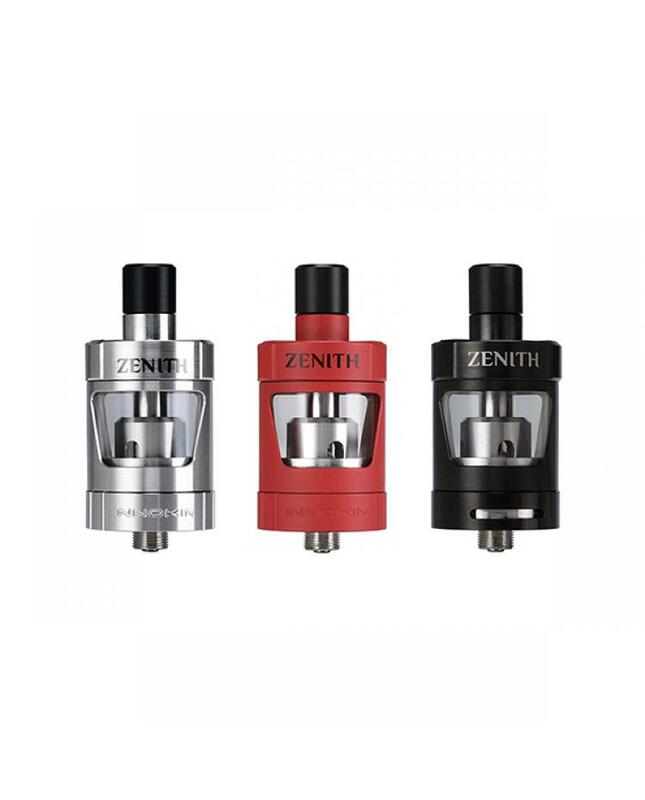 Innokin zenith is the newest innokin MTL(mouth to the lung) sub ohm atomizer by Phil busardo, Dimitris graffitis, and innokin company. 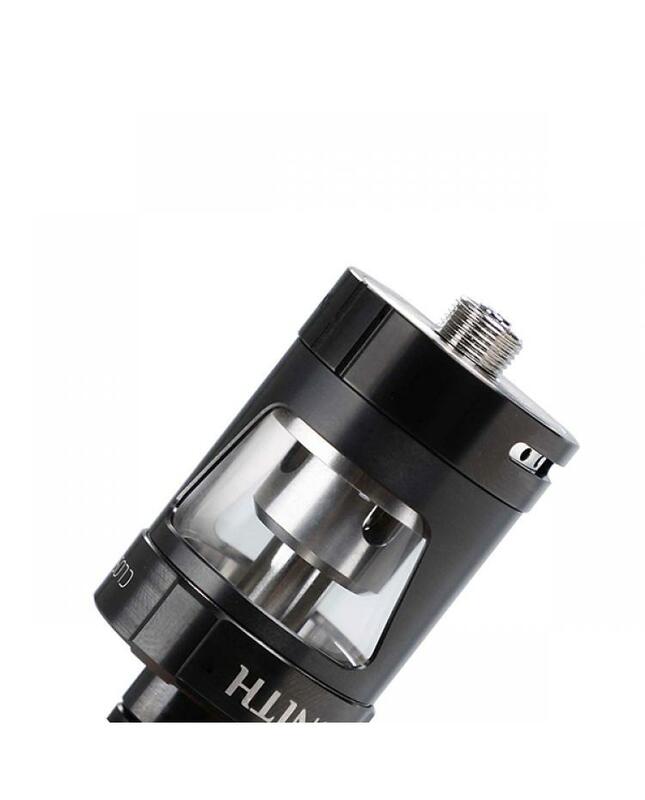 the tank made of high-quality stainless steel and pyrex glass, three fashionable colors available, the new innokin tank can hold 4ml e juice,TPD version only can hold 2ml e juice, the innokin zenith features easy top refill twist design that will automatically shut off liquid flow when filling in order to prevent flooding with two different coils to tailor your vaping experience. vapers can select two different replacement coils, the 1.6ohm kanthal coil for cooler vape at lower wattages, the 0.8ohm kanthal coil for slightly warmer vape and slightly higher wattages. 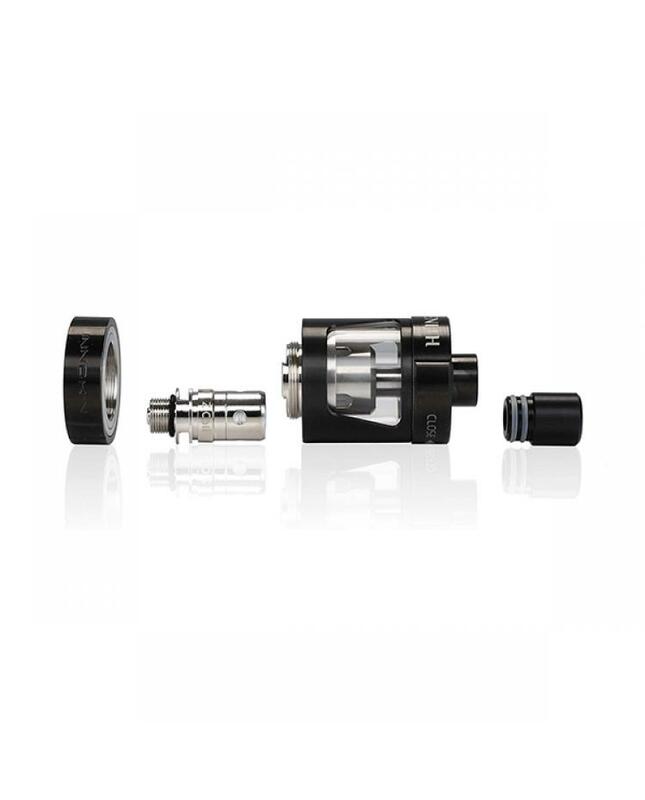 the large bottom airflow adjustable slots allow vapers to adjust the airflow to your preference easily. 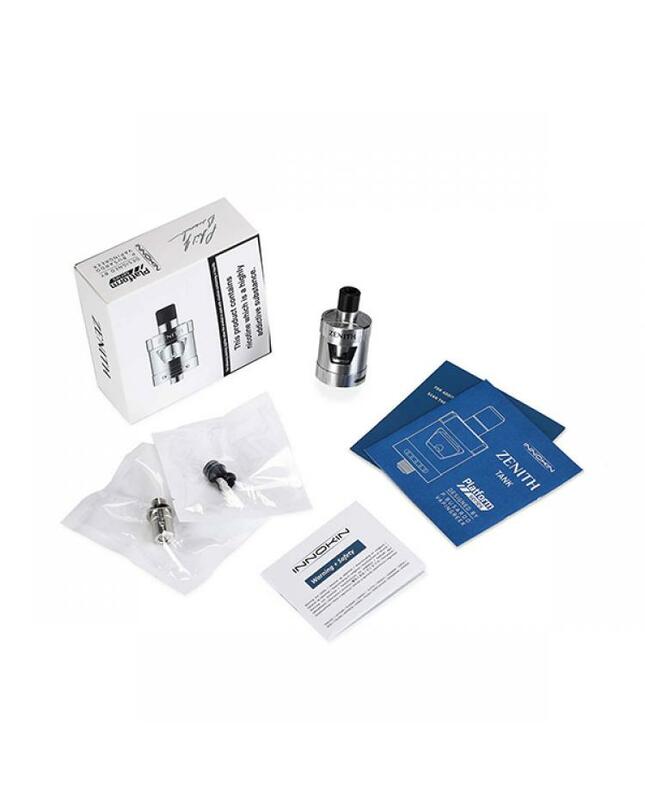 the new innokin atomizer designed for beginning and experienced vapers alike looking for good quality MTL vape tank.